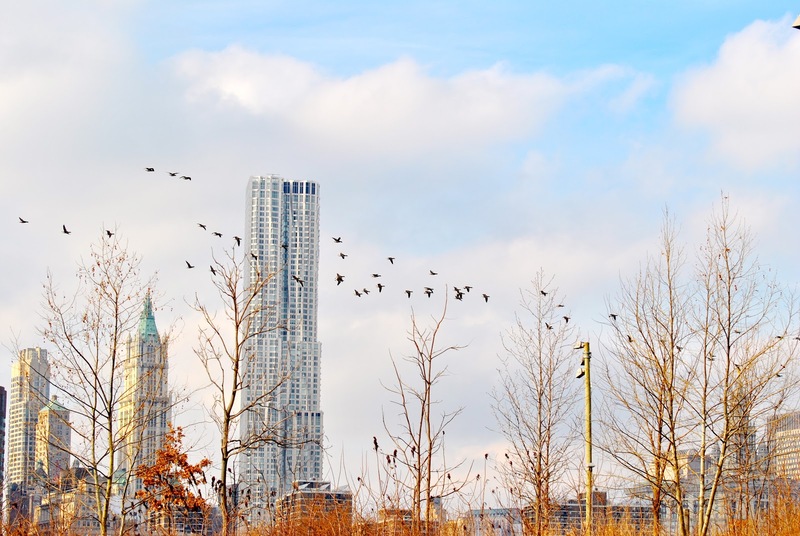 I took a cold walk by the East River today. 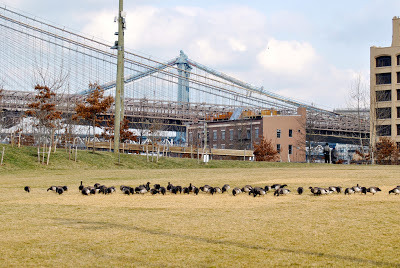 Brant geese, Branta bernicla, were lunching on the lawn in Brooklyn Bridge Park. Brant are often mistaken for Canada geese, but they are different species. 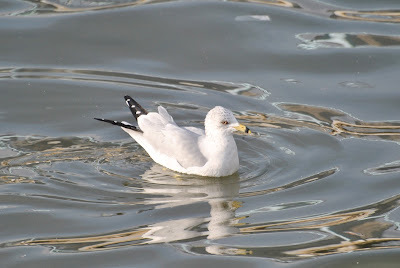 I've written about their differences; click here for that blog. The lawn the brant geese were trying to eat turned out to have too much human traffic for comfort. 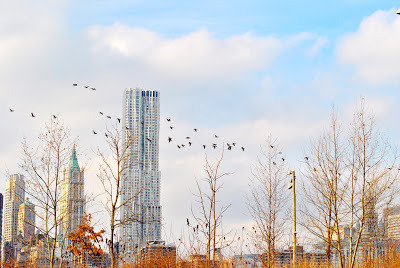 The flock flew away, silhouetted against lower Manhattan. 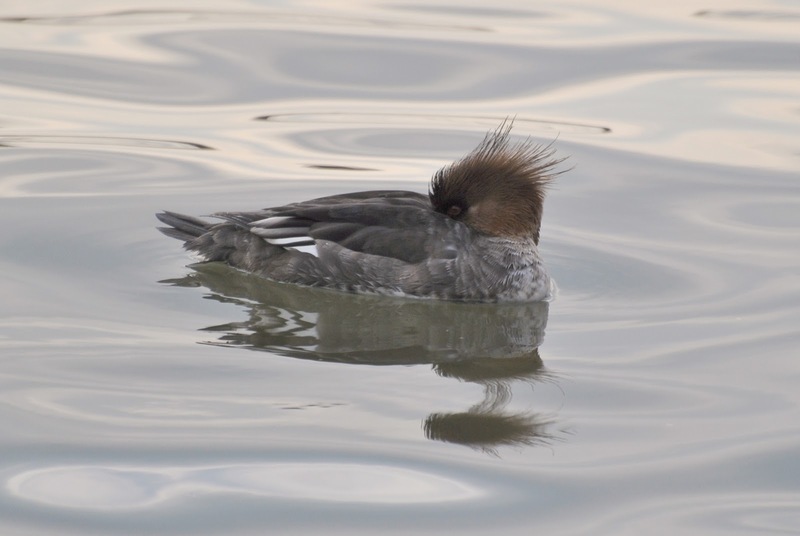 There was a female red-breasted merganser, Mergus serrator, dozing among the pilings south of Pier 1. 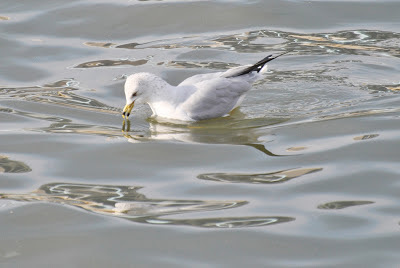 She had her head turned back and her beak tucked into her feathers. She didn't raise her head, but she was watching me. Expand to full screen, and click to enlarge the photo and you will see her dark eye. Also note the crazy hairdo, and the Dr. Seuss-like reflection of her head in the water. I have written about this duck before; click here to see a picture of the red-eyed male. 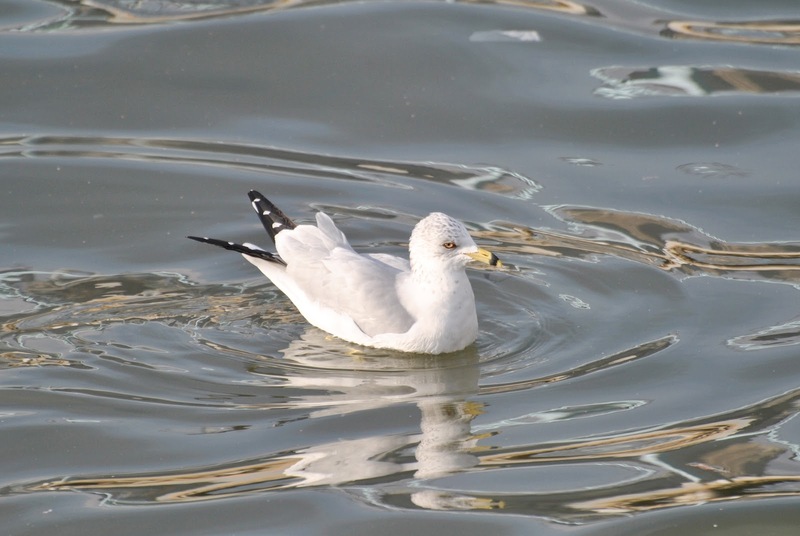 Beautiful ring-billed gulls, Larus delawarensis, were riding the river swells, pecking tidbits from the water. 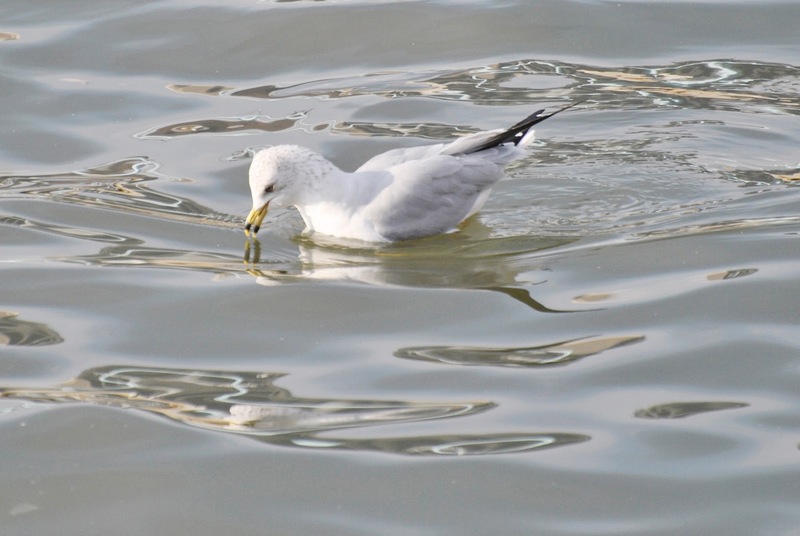 Other ring-bills were dining on takeout. 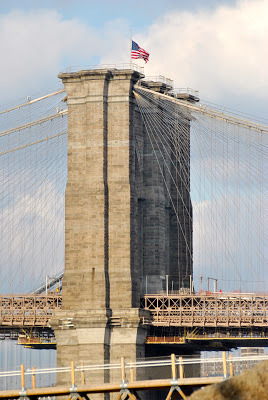 And the flag on the Brooklyn Bridge was at half mast for Ed Koch.